Santa Anastasia is a basilica church in Rome, Italy. Santa Anastasia was built in the late 3rd century - early 4th century, possibly by a Roman woman named Anastasia. The church is listed under the titulus Anastasiae in the acts of the 499 synod. Later the church was entitled to the martyr with the same name, Anastasia of Sirmium. The church was restored several times: Pope Damasus I (366-383), Pope Hilarius (461-468), Pope John VII (705-707), Pope Leo III (795-816), and Pope Gregory IV (827-844). The current church dates back to the 17th century restoration commissioned by Pope Urban VII. Traditionally, the church is connected to the cult of St Jerome, who possibly celebrated mass here. The saint is depicted over the altar, by Domenichino. Here's the our members favorite photos of "Churches in Rome". 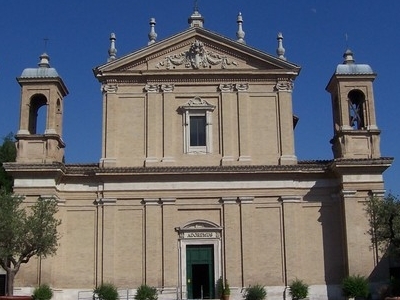 Upload your photo of Basilica di Sant'Anastasia al Palatino!